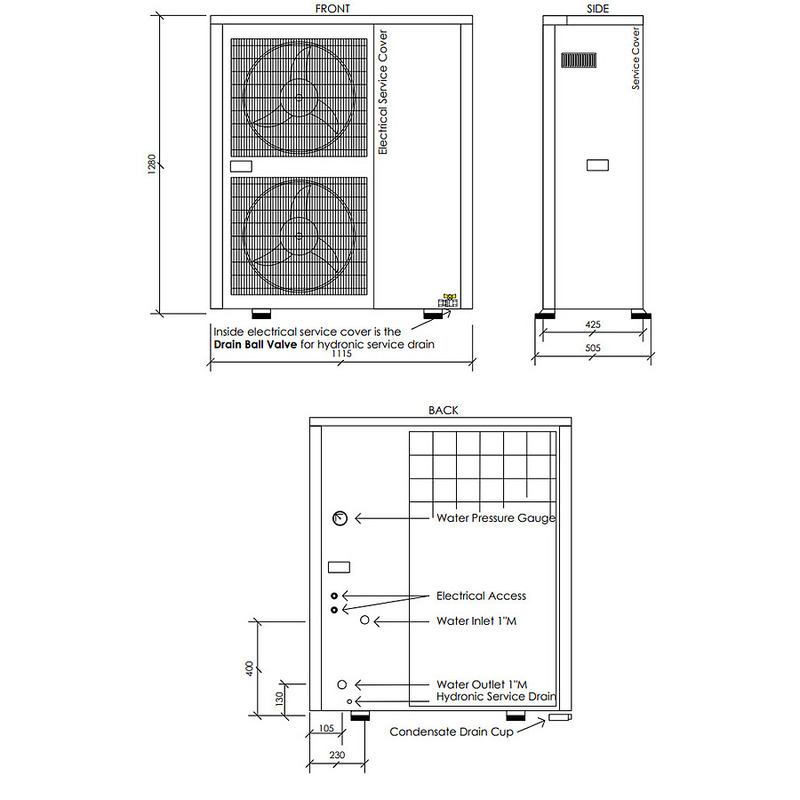 16kW Reverse cycle, air to water, inverter heat pump units. More than 400% efficient. 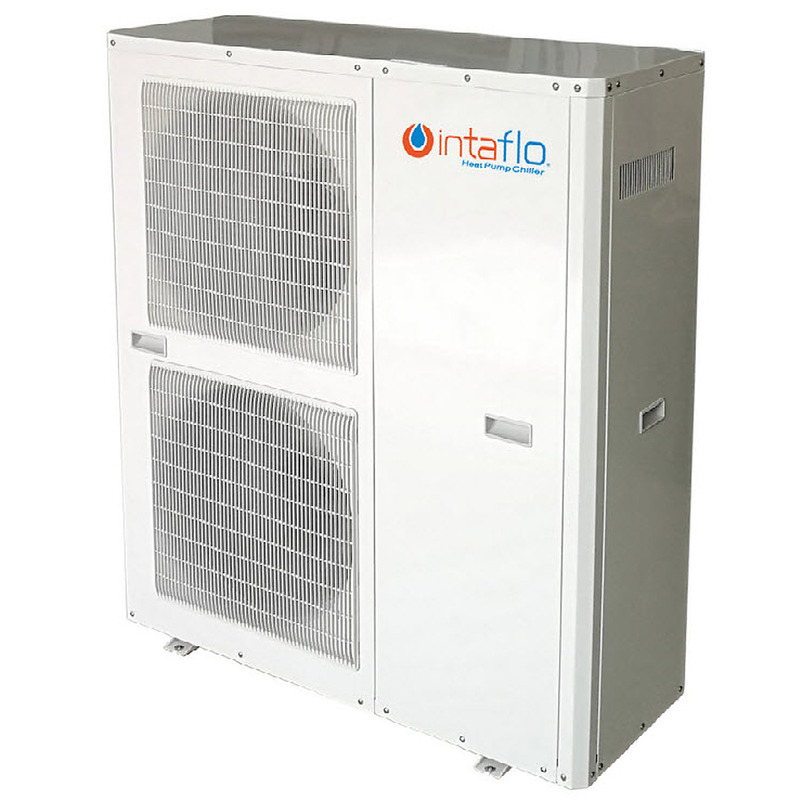 The heat pump is reverse cycle and can provide hot water for heating and chilled water for cooling. 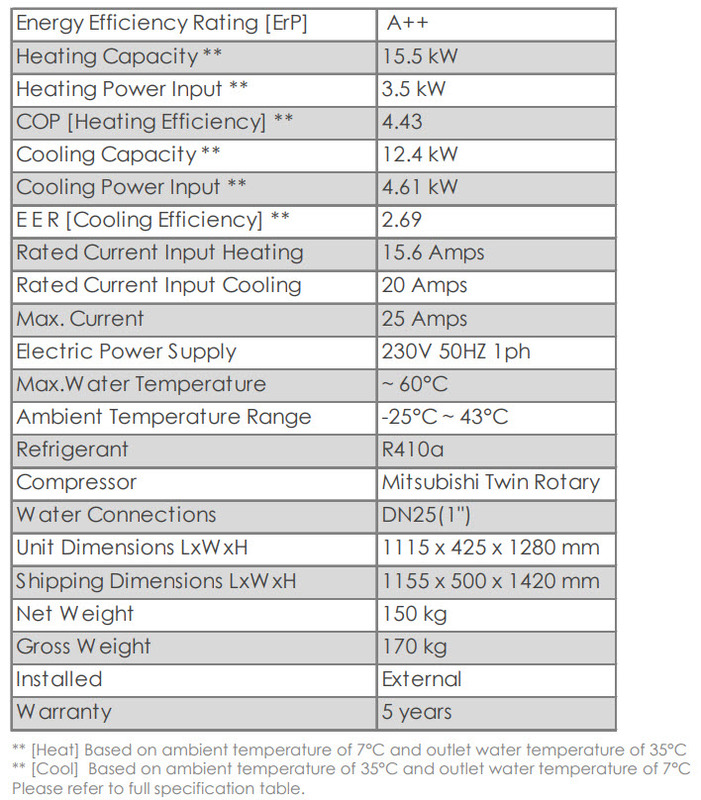 Prices for the Heat Pump start from $9,350. Please contact us for a full and detailed quote.